The Scoop: Caribbean, Asian, Southwestern and Mediterranean flavors…which, oh yeah, all happen to be vegetarian. But that doesn’t stop people with all kinds of diet requirements (meat-lovers, gluten-free, vegans, Cheetos-only) from coming in here and chowing down on some award-winning, beautifully-presented vegetarian cuisine. The menu is far from your average rabbit food usually associated with going veggie. Which is exactly why Sunflower has become known as the place in Atlanta to get a vegetarian meal. So if you follow a limited diet or just want change your tastes from your usual carnivorous ways, Cafe Sunflower is the go-to in Atlanta for all of the above. You’ll be shocked to realize you won’t really miss much by going meatless; aside, of course, from the meat sweats. 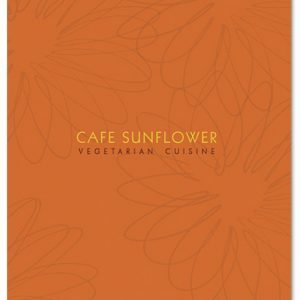 Scout Notes: I’m reminded just how good it can be to go vegetarian every time I eat at Cafe Sunflower. Whether I’m finishing off some Spicy Pad Thai or a Black Bean Quesadilla with a healthful Spring Salad, I have the same internal mid-meal debate, which usually goes something like this: I think I could go vegetarian. I mean, I really want to start eating healthier. And I love animals. And I really love this food. I bet I won’t even miss the meat. Of course, the reality of my standards for vegetarianism are set a little high when I eat here, since nothing I can find anywhere else ever comes quite close to that of Sunflower. So then I realize I’d probably just be setting myself up for disappointment. It would be all downhill from here. But at least, for now, I can enjoy my time as a well-fed vegetarian. What’s most amusing to Lin, she says, is to see all the “manly men” who come in here for lunch because they rely on Cafe Sunflower to help them enjoy eating healthy. Even if they can’t get the rest of the fellas to give up their midday burgers, you’ll see one or two wander in, many times alone, to seek quiet solace in some Garden Lasagna or one of the hearty meat-free burritos. Of course, I had to put this “man-approved” claim to the test (I mean, I may not be vegetarian, but as a girl, I’m not opposed to eating like one once in a while.) I brought along a so-called “manly man” to see if Sunflower could in fact earn his stomach’s stamp of approval. His verdict? A resounding “Whoa, this is really good.” Seems even meat-lovers can get behind Macro Stir Fry with Tofu when it’s prepared this well. And sure, he could’ve just been saying that to appease me, diving for the nearest piece of meat as soon as he left the building. But I doubt it…mostly because he wanted to take all of our leftovers, plus an extra Tuscan Sandwich to go… for another vegetarian dinner a few hours later. So I guess that makes one more possible vegetarian-convert for Cafe Sunflower.